The fourth book in the Anne Shirley series. Anne Shirley and Gilbert Blythe are at last engaged, but still they are apart: for three years Gilbert will be away at medical school, while Anne has a new job as principal of Summerside High School. Absence couldn't make their hearts any fonder, though, and they share all their love and news in letters. 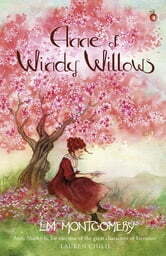 At Summerside, Anne settles in happily, lodging at Windy Willows, home of two widows - Aunt Kate and Aunt Chatty - and their irrepressible housekeeper, Rebecca Dew. With firm friends like these beside her, she can face anyone - even the Pringles, the 'Royal Family' of Summerside, who waste no time in snubbing Anne and letting her know that she wasn't their choice for principal. Can Anne ever hope to win them over? This collection of the best in children's literature, curated by Virago, will be coveted by children and adults alike. These are timeless tales with beautiful covers, that will be treasured and shared across the generations. Some titles you will already know; some will be new to you, but there are stories for everyone to love, whatever your age. Our list includes Nina Bawden (Carrie's War, The Peppermint Pig), Rumer Godden (The Dark Horse, An Episode of Sparrows), Joan Aiken (The Serial Garden, The Gift Giving) E. Nesbit (The Psammead Trilogy, The Bastable Trilogy, The Railway Children), Frances Hodgson Burnett (The Little Princess,The Secret Garden) and Susan Coolidge (The What Katy Did Trilogy). Discover Virago Children's Classics.